The spring of 2013 l got word that my nephew and his beautiful wife were expecting their first child, then l heard another friend was expecting. I like to crochet, so decided to get busy and make two blankets one for a girl and one for a boy. For some unforeseen reason the girl blanket didn’t get to the intended person so l had a cute infant blanket on my hands. My sister saw an advertisement in the paper about Project Linus. l contacted the chapter coordinator in my area for more information, and donated the pink blanket. Since then l have been happily crocheting blankets, and thought it would be fun to keep a blog of all blankets l make and hope to inspire others to get involved with Project Linus. Project Linus, a non-profit organization, providing homemade blankets to children in need. These blankets are lovingly made by adults and children. What a wonderful idea – blankets for children in need! Something that is near and dear to my heart. Very rewarding. Thanks! You have a very intriguing, blog. Why not start another blog? Thank you krcrochet!!! I am looking into this so I can start donating. Project Linus is a great charity!!!!!! You are so generous with your crochet time. wow! Hello! Thank you for following..I am curious about project linus.. I will have to share the information with a few ladies that sew..
Hello and thank you for following my new and first ever blog http://www.everyoneneedsablanket.wordpress.com I’ve just discovered project Linus is also in the UK and can’t wait to get involved. Would you like me to post a photo of a gorgeous blanket you’ve made up on my blog to help publicise Project Linus? If you would like to post my blanket on your blog that would be great. Project Linus is a fantastic organization to be involved with, helps so many children in many countries. You have a very nice blog, if we could smell over the internet i’m sure your blog would smell the sweetest. Thank you for the kind words about my blog. Good reason to get one started in your area! This is so inspiring! That you for stopping by at my blog and shedding light on project Linus. Keep up the grt work! 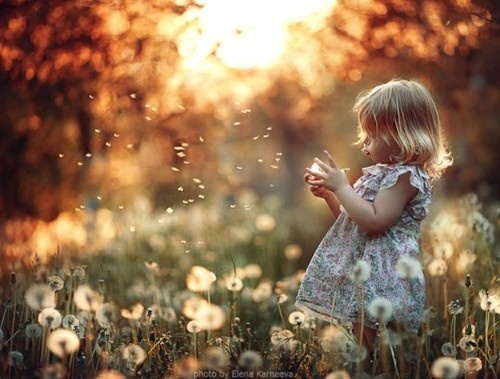 Beautiful – Your spirit and the blankets! Thank- You for such a lovely comment. Hi krcrochet, Thank you for liking my post. I love that these blogs can get all us like minded people together. What a fantastic thing you are doing for a great cause. You’ve created some beautiful blankets. Thanks for the comment about the blankets, I really love making them for children in need. Funny I have made blankets for preemies etc for hospitals etc. But I never really thought about these blankets being made by children also. Great idea. BTW can I repost this post in a future post of my blog? I think it is something worth promoting. Thanks for the comment! Project Linus provides blankets for troubled children up 18 years old. It would be very nice if you did repost at some point on your blog. Thank you for liking my post “A Wallet to Go With My Bag ” on OUR RETIRED LIFE. They are a charity group that you can make granny squares for ship them and they seam the squares in to blankets. I gave the link to your site to Crochet Granny Squares of Love. the blog I mentioned in my above comment. Yes very nice blog. They do wonderful work. I think they are also out of NC. Just letting you know that I’ve nominated you for the Liebster award. I promise it’s not a scary chain letter thing. Well, maybe it is but in a nice way. At least I hope so! Lynda. 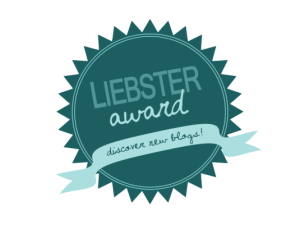 I have won the Liebster Award last year. Thanks for the nomination anyway. It’s nice to be appreciated! Yes it truly is and very well organized! So cool! Where do your blankets go? I know some people who deliver blankets to refugees around the world. Thanks for asking! The blankets provide love, a sense of security, warmth and comfort to children who are seriously ill or traumatized. Depends on what’s going on in the world, but usually locally. Excellent! Keep spreading the love! What a wonderful cause and a beautiful website! Thank you for liking our post about Works in Progress! Good luck in your endeavor ! Enter your email address to follow " Blankets for Linus" to receive notifications of new posts by email for non-WordPress users . Thoughts, opinions, recipes, remedies, patterns, and fun for kids!